For the first time, FASHIONCLASH Festival and Ellis Faas will be working together to create the most amazing looks for the 10th edition of FASHIONCLASH Festival. Ellis Faas will provide some of the most talented make-up artists and beautiful products and this year’s theme ‘Fashion My Religion’ will be the inspiration behind the carefully chosen looks for the models. Born and raised in The Netherlands, Ellis Faas started her career as a documentary, portrait and over-stylised fashion photographer. She quickly found out the technical side of photography wasn’t for her, but simultaneously discovered a passion for make-up. After a study in Paris, moving back to Amsterdam and leaving again for London, Ellis ended up opening a portrait studio in her hometown Amsterdam where she not only took her client’s photo’s, but also did their make-up. Ellis Faas had worked with many great names in the fashion industry and gained a load of experience when she decided it was time to create her own namesake make-up brand; Ellis Faas. Today, beauty products are more important than ever, as well as the way they are designed. 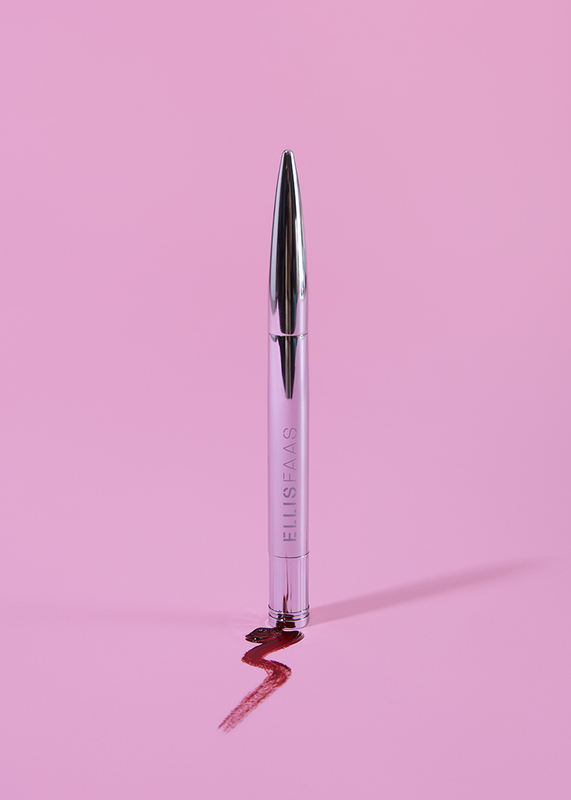 Ellis Faas is for the make-up devotee that appreciates the effort Ellis Faas has put into her beautifully designed products, such as Ellis Red, the Foundation Pen, and the Ellis Holders. Ellis Faas is convinced that there is no right or wrong in doing make-up. Everyone should be free to decide and determine what they perfect as beautiful. We bet most of you have a certain make-up or skincare routine to live by. Share your divine routine via #MakeUpMyReligion, because Ellis Faas and FASHIONCLASH are convinced that sharing is caring. Enjoy all the magnificent beauty looks during the Show at FASHIONCLASH Festival.